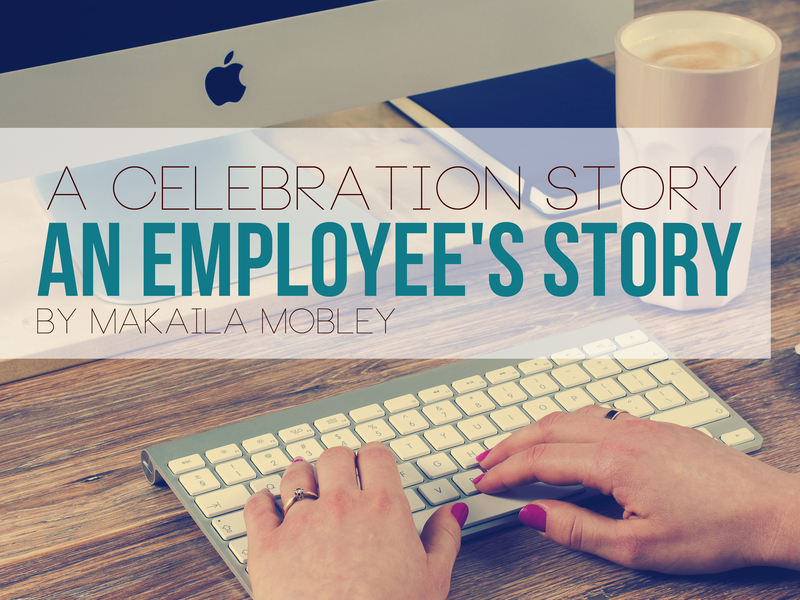 This celebration story is coming straight out of the heart of the Redeemer Church Office staff. I am thrilled to have this opportunity to reflect on how delightfully and personally God has moved within me to get me right here, working and loving this church from this seat every day. Let me start at the beginning when God first introduced me to Redeemer Church. He knew it would be a good match. I was a little less certain. There were, of course, things I immediately appreciated about Redeemer upon my first visit, but I was cautious. I had recently moved here and in my search for a church here in the High Desert, Redeemer undoubtedly continued to be the place I felt nudged toward. It was like God was going, I know this place you are going to love, come with me. So reluctantly I went. God chuckling (I’ m sure), Just do as I say, Makaila. I sputtered out a flabbergasted “Yes, of course! I’ll go! …I mean I’m interested!” Holy… Just Holy! What could I do but praise God? I felt God’s chuckle settle into a satisfied smile as my heart danced a jig of excitement in the church parking lot. In exactly the place that looked like a step away from all the things I wanted, God handed me back a profound desire. I am so glad He invited me to plant myself in Redeemer Church. I am truly falling in love with it. It’s a family of support and a catalyst for obedience as I learn how to deepen my affections and widen my heart. As the weeks rolled into months, I can say with confidence that God did deepen my affections and widened my heart for this church each and every time I prayed for it. It wasn’t long before I began serving in children’s ministry and, of course, had joined the team going to Kenya that summer. I remember one Sunday in particular in between my delightfully amusing Children’s Ministry class and finding a place among friends in the worship service when I became aware of how my heart swelled with emotion when I realized just how much I had come to love this church. And I thanked God for his faithfulness. First, he required my obedience, and then he lavished me with a glimpse into his heart for this place and the people who make up this piece of His Church. My Sunday Morning Kiddos! Love my class… look at those faces! Undoubtedly my training for the Kenya team set the stage for some profound shaping of my character and spiritual growth. Much of which I’ve shared through stories written in Amani, our first ever Kenya Trip Magazine. But God’s movement in me and his investment in my growth as I invest in this church did not end with Kenya. Since returning home, God has even exceeded it. During the months following Kenya I began to think up ways I could pour more of my gifts and passions into the church even as I was still developing them. I only had a part-time job at the time and was desperately in need of something a little more consistent. I kept getting job offers in other cities and while these offers were exciting, I knew God had called me to invest here at Redeemer Church and to stay in the High Desert and I knew that my time here was not yet over, I wasn’t sure what I was supposed to do here, but I knew I needed to stay. So I turned down these job offers and just kept recommitting to this church, hoping that God would provide a job that allowed me to maintain this investment. I began to dream of the church calling me up and offering me a job, it felt far-fetched, whimsical even, but I dared to ask God for a job at the church. There weren’t even any open positions at the time. I just knew that this Church was what I cared about and it seemed to be where God wanted me, so why not ask, right? For several months I kept day dreaming while praying about working at Redeemer Church, but then I’d shrug and continue sending out applications all over the High Desert. Around this time was when I began to put together the Amani Magazine as a Christmas gift for my Kenya teammates and my passion for writing was stirred and brought to the surface and I wondered if there was anyway I could share this passion of mine with the church and invest it in God’s Kingdom. The magazine also involved a little crash course in typography, layout, and design and I discovered that I loved these things! I could hardly get enough, I had a lot to learn, but it was work that was filled with joy. Even after hours and hours in front of a computer moving lines and text around, it never seemed to get old. I wanted to learn more, so much more. I began to ask God for a means of learning these things. Pastor Joel came to mind then, I wasn’t sure, but I thought he was the one who designed the graphics for Redeemer, so I began to ask God if there was a way I could maybe be tutored by Pastor Joel. This too felt far fetched and lofty, I didn’t even know Joel, why would he volunteer his time and energy to tutor me in graphic design. Well, fast forward six months or so and quite suddenly I find myself the office manager of Redeemer Church, writing for the church blog on a regular basis, and get this, being trained by Joel, here in the office to create the church graphics!! Its been been over four months since I got this job and I’m still not over God’s provision. It amazes me how as I listened to his prompting to stay here, invest in this church he was slowly cultivating my heart to desire the gifts he had already planned on giving me. And can I just say, I love this job and having it has only made me love this church even more. Being here everyday, I am encouraged and feel supported. Things on the inside are even healthier than I had hoped for and it is my aim to live out Hebrews 13:17 and serve within this church and submit to our leadership so that I help make their job a joy.” I trust the pastors here and it is my joy and honor to serve them and all of you for as long as God choses to provide me with the gift of this church. I don’t dress like this to the office everyday, just so you know. This picture was taken during VBS and it was crazy hair day!